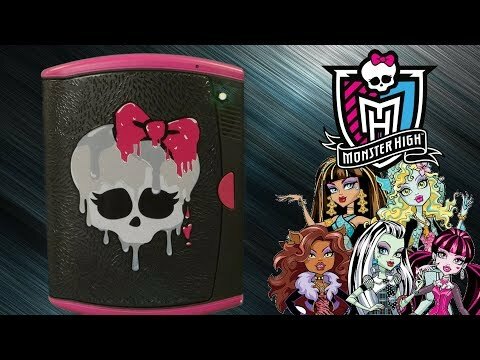 Monster High Password Journal 8 - Fun Way To Keep Secrets! Journaling has never been cooler or safer for your little monster. This secret diary has dual voice activated compartments and invisible ink, which brings the age old tradition of journaling up-to-date. This cute Monster High Password Journal 8 is the perfect secret diary for your daughter. It has a safe place for her to write down her thoughts or keep a memento safe without the fear of a sibling invading her privacy. It has 2 voice activated compartments, one for the journal and a 2nd one for her keepsakes. Extra security features included are an invisible ink pen and black light so she can keep her inner thoughts from prying eyes. The doors to the compartments automatically lock when closed and will not open until she speaks her “password”. Welcome to 2015! Click HERE for other Monster High toy ideas. Not Interested In the Password Journal 8? Before you go, check out our other gift ideas for kids in our Shop!